We are proud to announce that we have new content coming to Pathfinder Adventures in the form of a new campaign, Rise of the Goblins. In our push to bring some quality of life features to Pathfinder Adventures AND release this for desktop it has been a severe content drought. When you have comments like, "Is this game even supported anymore?" and, "I wish the wait for new content was only as long as the wait from deck 3 to 4..." you know it has been too long. This campaign has some of the same events as Rise of the Runelords except that it is coming from the point of view of the dastardly goblins. It's right there in the name and longtime fans of the physical Pathfinder games will hopefully have the same passion for this version. We took a lot of inspiration from We Be Goblins for the first few scenarios. After that, we just wanted to mess with the Iconics! When playing through Rise of the Runelords players got familiar with the Iconic characters and the stories that would unfold as they went from the coastal town of Sandpoint all the way to the ruined city of Xin-Shalast. For Rise of the Goblins we are introducing two new characters to choose from, Ranzak (from Skull & Shackles) and Poog (from Goblin Burn! Deck). Both have new roles with unique powers that differentiate themselves from the Iconic Pathfinder characters. 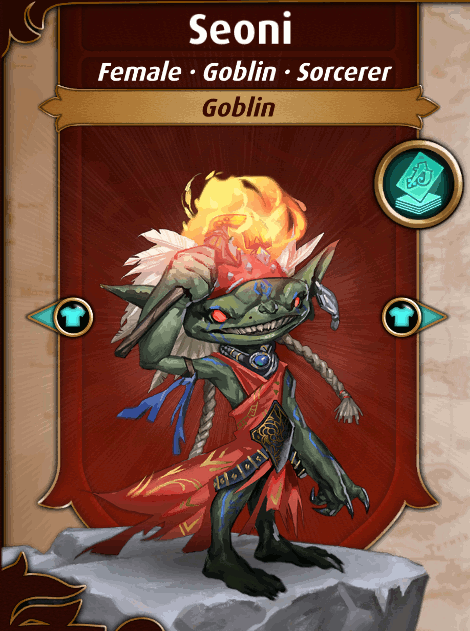 Since Rise of the Goblins is for goblins only and some players wish to have parties larger than two, we've included all (11) of the Iconic characters in goblin form and they all come with a new power. 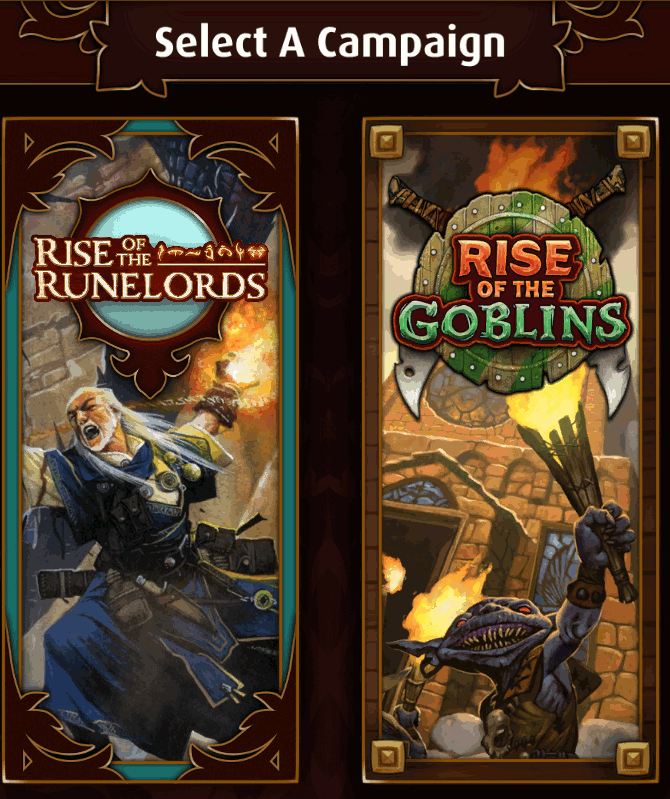 It should be noted that while Rise of the Goblins is only for those with the goblin trait (it wouldn't be right for the good guys to be doing these bad things anyway) the users can use the goblins in the existing Rise of the Runelords campaign. 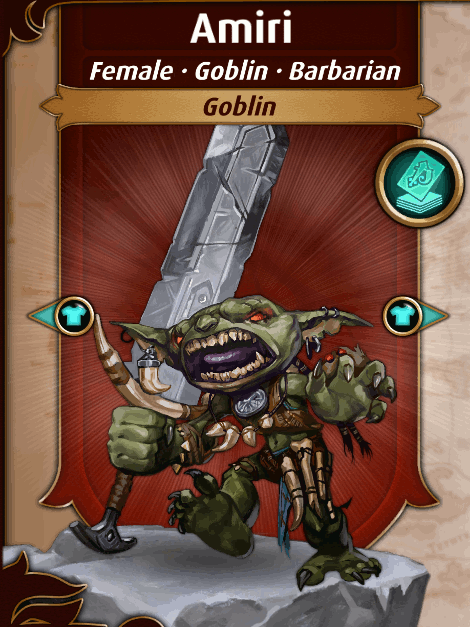 The first adventure deck for Rise of the Goblins contains five scenarios that starts in Sandpoint and because of the actions of the goblins it sets off the events that lead into the RotR's Attack on Sandpoint. The setting works out quite well in interweaving the stories between Iconics and the goblins because they are each other's antagonist. To help hit home the different side of the story we've made some additional changes to some of the cards that will be available in the goblin deck. Boons for the Iconics would be banes for the Goblins and allies would be enemies. Unlike the goblins themselves, these changed cards are not going to be fed back into the Rise of the Runelords box because it wouldn't make sense to have Ripnugget the Ally card be used again Ripnuggest the villain. Plus, we aren't playing around in the Mirror Mirror universe. Finally, we are also including a new set of goblin themed dice. 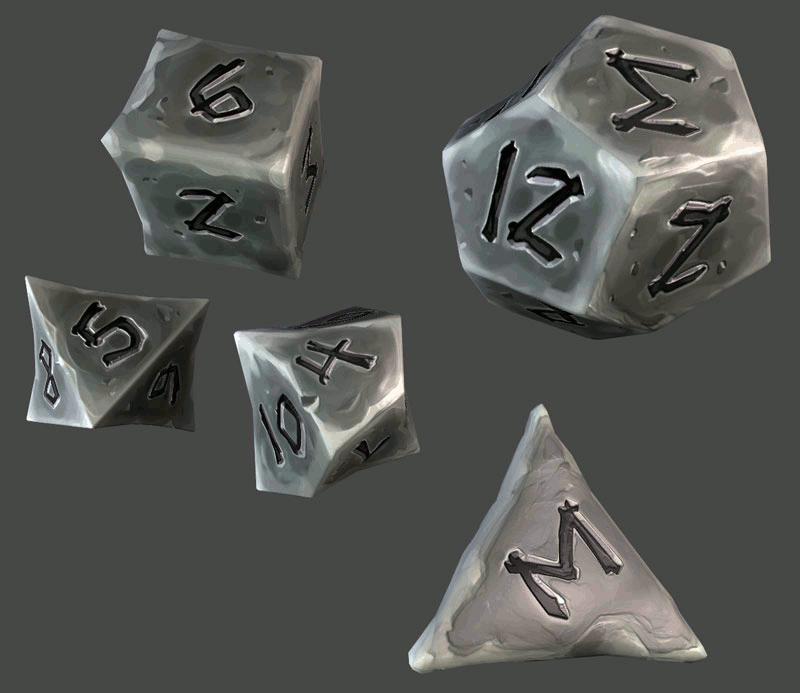 These dice are our first asymmetrical dice created for Pathfinder Adventures and we hope they help pave the way for new unique shapes of dice in the future. Personally, I think we need more skulls but I could see some of other forms appear. We would have to have new code to deal with a d30 or a d100 that if you roll it too hard it just rolls off the virtual table. 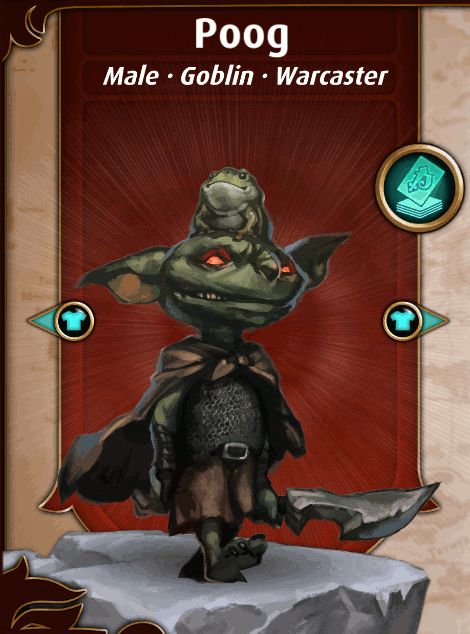 The next content after our goblin deck is still being designed (and possibly named something else) but it is currently being called a Side Quest and is going to be character specific. Meaning you can do them with different sized parties but it requires the character of focus to be in the party. While this is subject to change, we plan on opening up with a series of five scenarios that explore some events that befall Valeros (he does have an interesting backstory) and culminate in unique rewards and a new character added to the roster. Who that character is has been currently narrowed down to one of two choices but they will be coming from the Fighter Class Deck and it isn't another version of Valeros, so that's your hint. Hmmm, maybe we'll open it up to a popularity vote or something in the future. No promises though! We did get some players interested in Pathfinder recently and when you do a key-word search on reviews one word comes up more than any other. "Complicated" probably followed by, "as F*&K" and you know, that is pretty accurate. To help ease some folks into our CasF game, Aarik went and generated a series of very well done videos narrated by DanDizz (Twitch streamer extraordinaire) that will help explain some of the basics of the game and then into more of the nuanced parts. We'll have links for them in-game soon but the first two of the series are available now. Things we really, really want, still. Some day. Maybe. Magic dice. What's that? Dunno, but I think it would be pretty cool if you had some dice that if they rolled a 1 you could burn a charge and reroll. Kind of like Pathfinder Mexicali. Larger Stash. We got a lot guff for even adding the stash, now we are getting "requests" to have a larger stash. 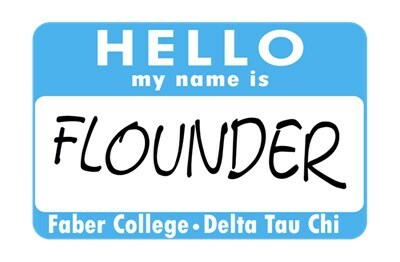 We're looking into doing just that! 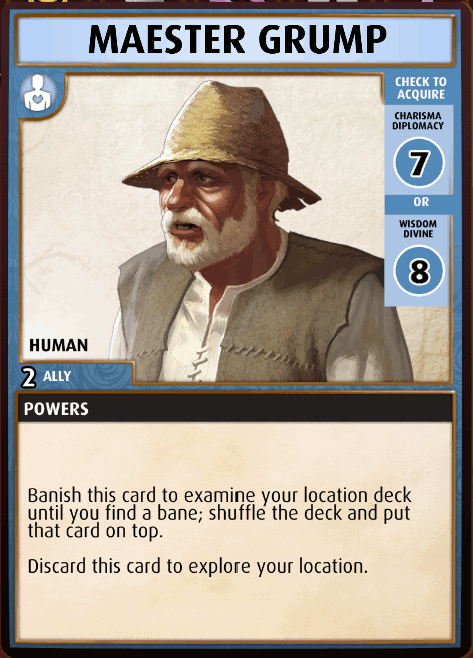 Previous entry Pathfinder Adventures Ambassador Program now live! Next entry Price Changes Coming to the Mobile Version of Pathfinder Adventures! Awesome, this sounds and looks cool. 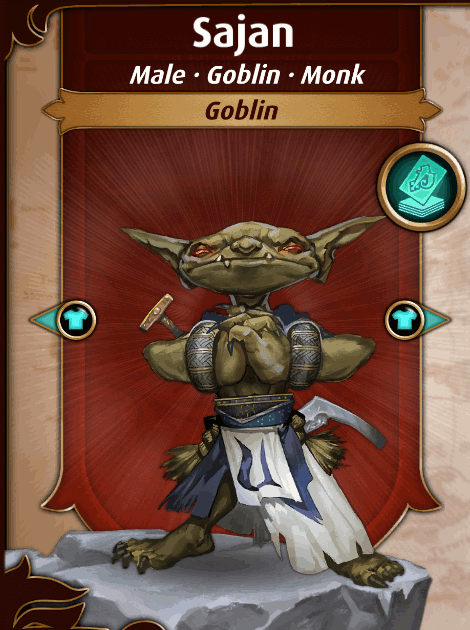 When can we expect to see the Rise of the Goblins content go live? Will the Rise of the Goblins Adventure Path contain multiple adventures (maybe 6 in total) or is it just a one shot? How will the changed cards interact with the Stash and the Rise of the Runelords Adventure path? 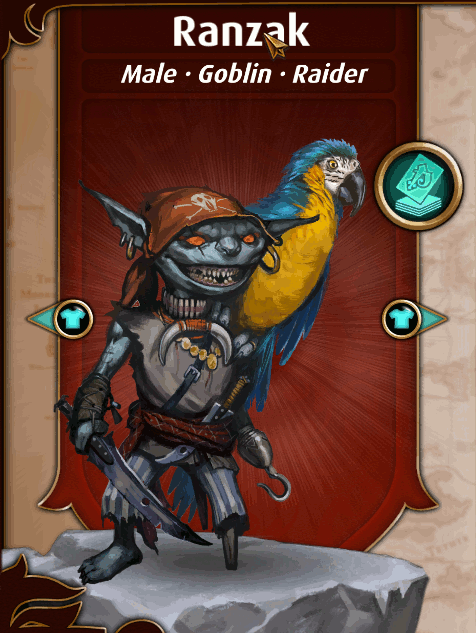 Will existing Treasure, Promo and Loot cards be available in the Rise of the Goblins Adventure path? 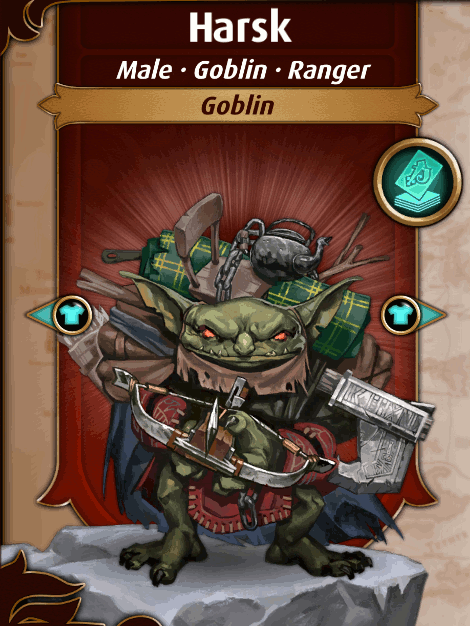 If Rise of the Goblins is an Adventure path, will there be new loot cards? How will asymmetrical Dice work? Will we ever get more than 24 Character slots? Errr... why can't the Goblins pronounce Tsuto, while Maester, a harder word to pronounce, can be pronounced perfectly? Hmmm. And here I thought the asymmetrical dice were going to be things like a d5 made out of a triangular prism, or something. Very much looking forward to all this. 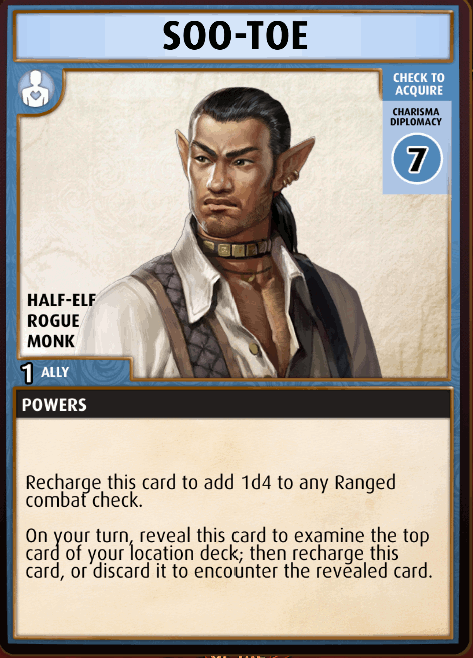 When are you going to release Skull and Shackles, my favorite base set and adventure path?